SMU notched a monster conference win Wednesday night. 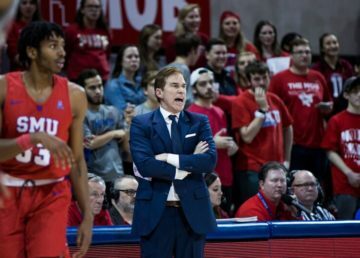 Going into Wednesday night, SMU was playing its worst basketball of the Tim Jankovich era. The Mustangs had lost three straight games, and a fourth seemed inevitable as No. 7 Wichita State loomed on their schedule. But no one told that to Shake Milton, who poured in 33 points as the Mustangs stunned the Shockers 83-78 Wednesday night. 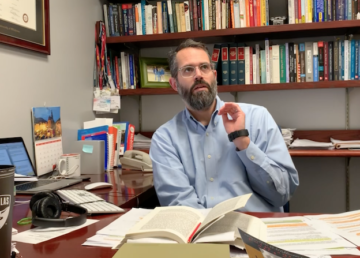 While the win is huge for SMU, it may turn out to be a pyrrhic victory. Jarrey Foster went down clutching his knee early in the first half and did not return. Foster is SMU’s most versatile player, providing scoring, defense and rebounds for the Mustangs. He also has a history of knee injuries, as he tore his ACL in high school. The win was not easy to pull off for SMU, as Wichita State made a pair of second half surges to threaten SMU’s lead. With just more than 13 minutes remaining in the second half, a Conner Frankamp 3-pointer brought Wichita State within one point of SMU, but the Mustangs responded with an 8-0 run. Six of those points came from Milton. Then with 2:06 left, Milton launched a 3-pointer to extend SMU’s lead to 11, but the Shockers quickly battled back, embarking on an 11-3 run in the next minute-and-a-half to cut the lead to three. SMU was able to seal the game with two clutch free throws from Milton, one free throw from Jimmy Whitt and a spree of missed 3s by the Shockers. Milton seemed to come up huge whenever SMU needed a basket. He dominated Wichita State in the pick and roll, draining jumpers when defenders gave him space and driving into the lane when they pressed him. “When you see a guy do that, you see a guy’s heart, not going to let the team lose,” Jankovich said. 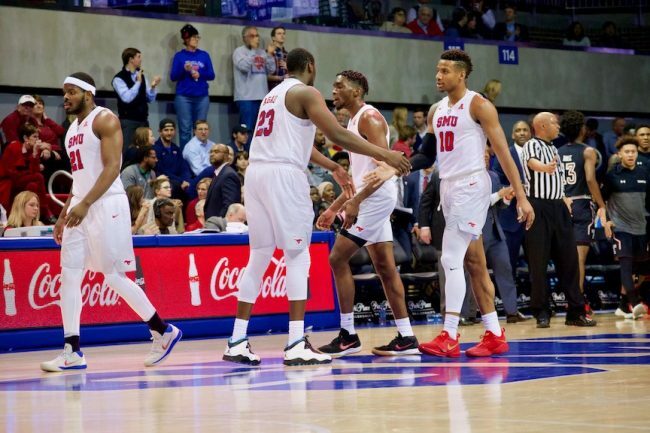 SMU had to overcome foul trouble Wednesday night. Ethan Chargois and Ben Emelogu both missed key minutes in the second half with four fouls. A shorter bench forced Jankovich to lean on unexpected players for key minutes down the stretch. Jahmal McMurray is one player who stepped up, bouncing back from a rough trio of games with 16 key points off the bench. It was clear that SMU missed Foster at times. Without their rebounding leader, the Mustangs were bullied on the glass, allowing 11 offensive boards to the Shockers. The Mustangs shot a scorching 63.8 percent from the field, largely due to Milton, who nailed 11 of his 14 shots. Many of those were contested and some of them were far behind the 3-point arc. Across from Milton was his top competitor for AAC Player of the Year, Wichita State guard Landry Shamet. Shamet had an outstanding game in his own right, recording a double-double with 20 points and 10 assists. Shaquille Morris added 17 points for the Shockers. The win is SMU’s first over an AP top-10 opponent since it beat No. 10 Houston in 1982. The Mustangs now have three top-15 wins, adding this one to victories over No. 2 Arizona and No. 14 USC. The loss was Wichita State’s first conference loss of the season and thus its first since joining the AAC. Next, SMU will return to Moody Coliseum to face Tulane on Saturday. Tip-off for that game is at 5 p.m.